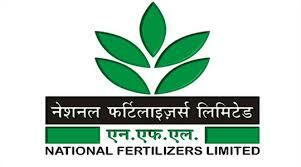 NFL Jobs Recruitment Notification 2019.National Fertilizers Limited, NFL inviting applications for the positions of Junior Engineering Assistant Grade II.Interested and Eligible candidates can apply for the positions. Total number of vacancies are to be filled in NFL is 53 posts. Minimum educational qualification for applicants must have passed in B.Sc ( with Physics, Chemistry & Mathematics) or must completed 03 years Diploma in Chemical Engineering. Applied candidates will have online examination for Junior Engineer Assistant posts. Through online exam applicants will be selected. Through online mode applicants can fill the application forms in NFL Recruitment 2019 on 15th February 2019. Candidates must apply before the closure date i.e., 14th March 2019.
http://www.nationalfertilizers.com is the official portal for aspirants to apply the pro forma is directly.